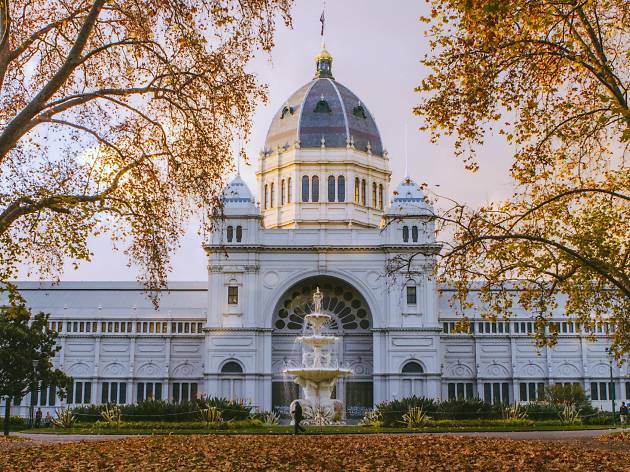 From scoring cheap theatre tickets to knowing the best way to travel around this city, these Melbourne hacks will have you kicking goals all over this fabulous city. 1. Set up auto top-up on your Myki. Imagine never having to line up at a Myki machine ever again. This is the reality when you’ve got auto top-up installed on your Myki. No more cursing the slow person in front of you (who, without fail, can’t make up their mind about how much money to put on their card and always, always, insists on getting a receipt) or jumping on a tram and hearing the dreaded “negative balance” tone. All you need to do is register your Myki online, pick a card you’d like to debit from and the value you’d like to be topped up and voilà. Now, when your Myki money drops below your minimum balance, it will automatically top itself up. Read more of our public transport tips. 2. Shop at the Queen Vic Market at 2.40pm on a Saturday. Rock up 20 minutes before closing at the Queen Vic Markets and you could score yourself a sweet deal, whether it’s fruits, veggies, freshly baked bread or even cheese, if you’re lucky. Closing times on market days vary, so keep these open times handy: Tue, Thu 6am-2pm; Fri 6am-5pm; Sat 6am-3pm and Sun 9am-4pm. 3. Dine at Melbourne’s fanciest restaurants on the cheap. Melbourne's big on cheap eats, but sometimes it's nice to pull up a seat in the city's fine dining establishments. Whether it’s opting to dine at lunch, at the bar or go vegetarian for the night, you’ll be able to skim dosh off your bill quite easily. Read more of our cheap hacks for fancy Melbourne restaurants. ...if you’re a tram taker. Tram Tracker (iOS and Android) gives you reliable updates on when your tram is due to arrive at your stop. It uses real-time technology, so it’s accurate, and it will also notify you if there are any major delays or disruptions on your line. 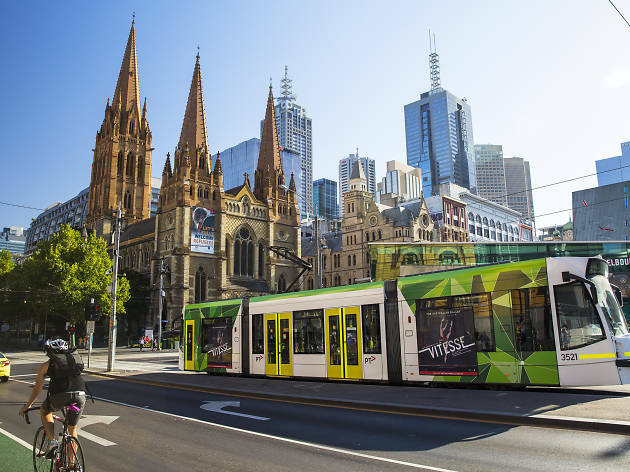 You can personalise the app by selecting your favourite stops and see the next three tram arrivals (perfect if you haven’t topped up your Myki yet, tsk tsk). 5. Be strategic about where you hop on the tram. Getting on the tram right outside Southern Cross Station is both a blessing and a curse. While plenty of people will be hopping off, a bunch more people will be hopping on. So even if it sounds counter-intuitive, by walking in the opposite direction to where you're going and hopping on at the previous stop, it will almost always guarantee you a seat or a not-so-squished standing spot. 6. Get cheap theatre tickets every single day. Arts Centre Melbourne has their own version of a discount theatre ticket outlet called tixatsix. Head to the box office on level five of the theatre’s building (under the spire) from 6pm each day and join the tixatsix line to purchase $30 tickets to a show that thing. A minimum of 20 tickets are on offer each night, and your limit is two per person. Plus, believe it or not, some companies think that the performing arts appeal only to greyheads; in order to attract the yoof dollar, many offer discounts to patrons under 30, including $20 Opera Australia tickets and cheap tickets to Melbourne Theatre Company (the Australian Ballet even has an under-18 rate). Read more of our cheap theatre ticket hacks. 7. Early riser? Your train trip is free. If you touch on and off before 7.15am on a weekday, your train journey is free. If that isn’t motivation enough to head to that early yoga/spin/circuit class before work, I don’t know what is. 8. Go super late to White Night. 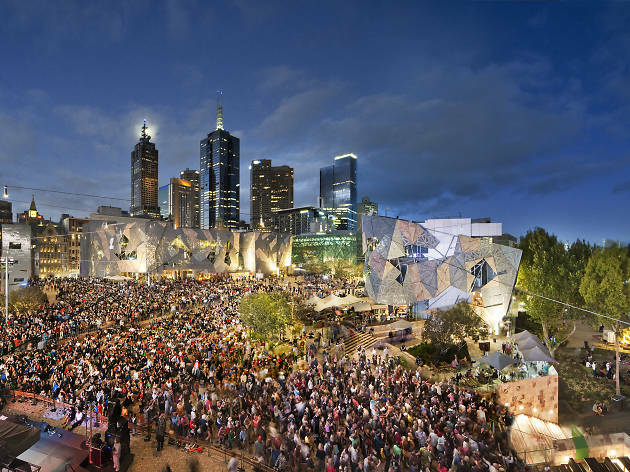 Melburnians have a love-hate relationship with the city’s most visually spectacular night of the year. On the one hand, White Night means world-class art installations and draw-dropping projections on some of our most famous buildings. On the other, it also means jostling crowds, long and hungry hours on your feet, and huge queues stopping you from seeing much of the cool stuff on offer. But what we’ve learnt is that timing is everything. If there’s something you really want to see, your best bet is to see it either right on 7pm, or in the wee small hours of the morning, like at 3, 4 or 5am. Trust us, it’s worth the disco nap. 9. Kids go free to the footy on Sundays. Yep, the AFL is offering free general admission tickets for kids on Sundays throughout the AFL season. There are a few caveats (which you can read here), but they’re available at both the MCG and Etihad Stadium. Standard booking fees still apply. 10. Kebabs and a cheeky Hungry Jacks burger aren’t your only after-hours options. Our fair city wears the mantle of ‘Late Night Champion’ with pride. Nowhere else in the country can you party at all hours, and then go out for a civilised meal into the bargain. Whether you’re after bolognese jaffles at Arlechin (kitchen closes at 3am), Pacific oysters from Supper Inn (kitchen closes at 2.30am), hefty southern barbecue from Le Bon Ton (kitchen closes at 5am on Fri and Sat nights) or sinus-clearing ramen from Musashi Ramen (kitchen closes at 4am on Fri and Sat nights), you’re sorted. Find more of our favourite late-night eats. 11. Make good use of your local library. New magazines, CDs, DVDs, video games and comic books, not to mention books and ebooks are all available to borrow from the library. You probably already know this, but it bears repeating – you truly never have to spend money on another book, movie or console game again. Also, if you’re scrounging around to afford Netflix or Stan, don’t forget that SBS on Demand and ABC iView are jam-packed with excellent shows and movies you can stream all for the low, low price of $0. 12. Catch up on the day’s headlines outside Media House. Struggle keeping up to date with what’s going on in the world? Feel ya. That’s why you can pretend to know what’s going on by skimming the day’s headlines as they’re displayed on the Collins Street building opposite Southern Cross Station. 13. Get free food at Southern Cross, while you’re at it. Head into SoCro Station during the week and you’ll often find brands handing out free food samples, whether it’s free yoghurt, new sports drinks or weird microwaveable meals. It varies, and they're not always there, but it pays to be on time for once to score a free snack. 14. Sound super smart by pointing out that the building at the junction of Bourke and Collins streets in Docklands is Melbourne’s first predictive weather display. This state-of-the-art lighting installation illuminates a 15-storey residential building façade with a forecast of the following day’s weather. On the hour, every hour, moving lights reflect weather conditions – such as rain, sunshine, wind or clouds. It’s cool, I promise. 15. Know where to poo in peace in the CBD. No, seriously. When you’ve got the urge to go, nothing is worse than having to hover over a toilet seat in malodorous discomfort in an ill-lit, inexplicably damp public toilet. For full-bladder salvation, your best bet is finding a loo big enough that you won’t be disturbed and busy enough that wee hitting water isn’t publicly broadcast. Our suggestions include the NGV International (for the arty pee), Myer Melbourne (for the nostalgic pee), Emporium Melbourne (for the high-class shopping pee), the State Library (for the literary pee) and the Sofitel (for the luxury pee, 35 floors up). Read more of our favourite peeing spots (not even kidding) here. 16. Get free coffee every Friday. Because Friday is probably the day of the week you need a caffeine hit the most, Market Lane hold public cuppings every Friday at their Prahran Market shop from 1-1.45pm. Cupping is like coffee tasting, and it's done in a similar way to how you taste wines. It's an opportunity to try eight or so cups of current and newly arrived coffees at Market Lane, with their knowledgeable staff running you through the evaluation. Places are limited to six people, so it's suggested you arrive 15 minutes early to score a spot. 17. Tightarse Tuesdays might be dead, but cheap movie tickets still exist. Head to the Kino on Mondays for $8.50 tickets, and to Cinema Nova, also on Mondays, for $7 tickets before 4pm and $9 tickets after 4pm. The Sun Theatre in Yarraville has two cheap days ($11 on Mondays and $12 on Tuesdays), and the Astor Theatre in St Kilda has $12 tickets on Magic Mondays, $12 tickets on Wicket Wednesdays and $13 tickets on Fantastic Thursdays. Read more of our cheap movie ticket hacks for cinemas around Melbourne. 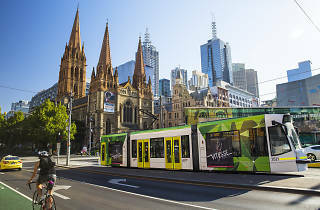 Visiting or new to Melbourne? 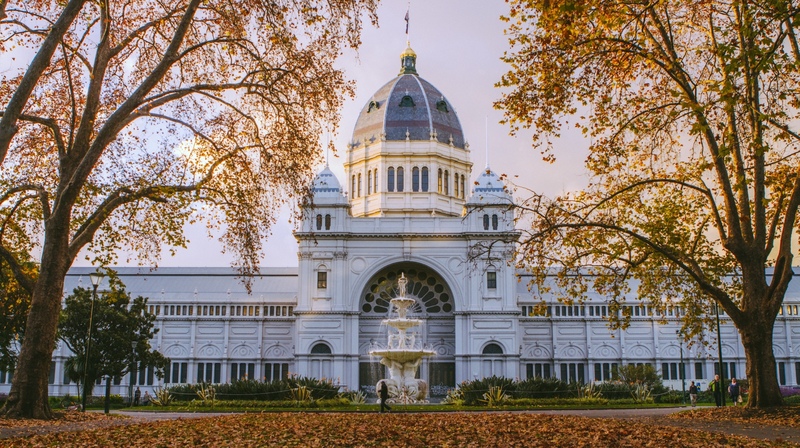 Take a look at our ultimate bucket list: 50 fun things to do in Melbourne, plus what makes the city great, from the food to the festivals and everything in between.